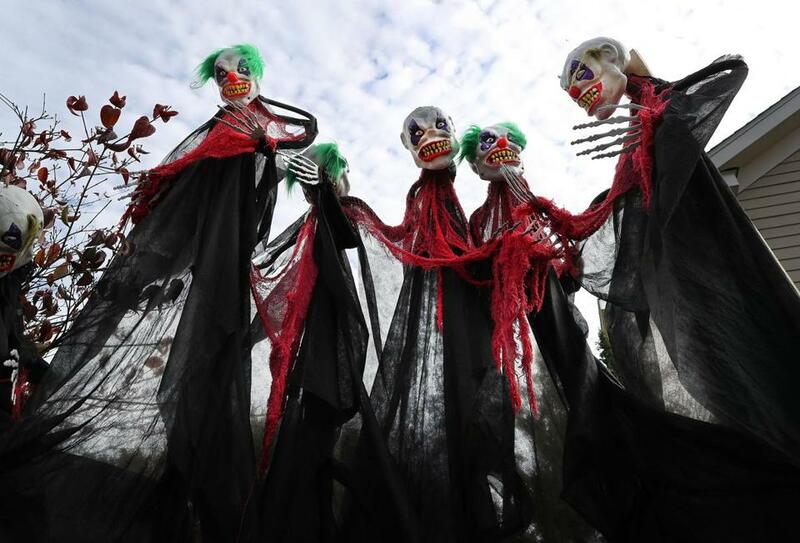 John Downs did last minute touches to his huge Halloween display on Franklin Road in Winchester. The children’s screams start in early October outside the house at 42 Franklin Road in Winchester. These sounds are a good sign. 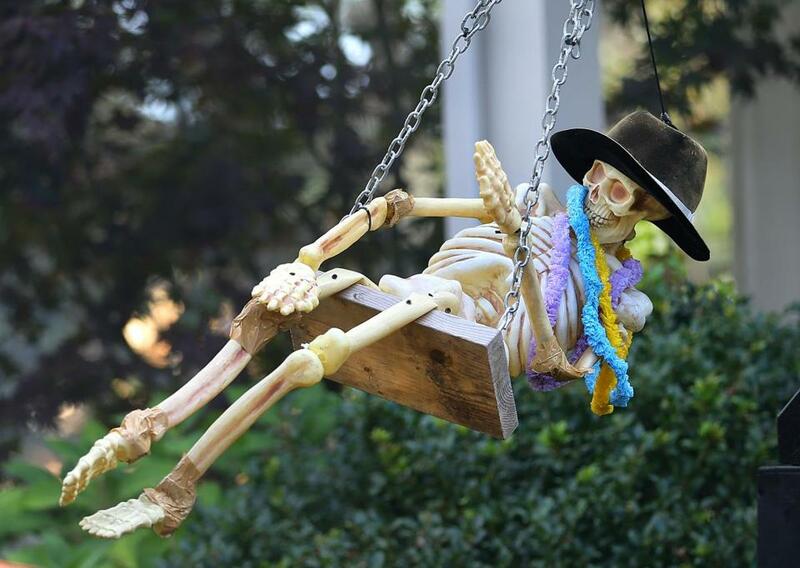 It means that 23-year-old John Downs’ annual Halloween display is doing its job, entertaining and scaring the heck out of hundreds of costumed kids and adults as it has for the last 14 years. But 2017 will be the local Halloween haunt’s last hurrah. So Downs wanted to make it count. 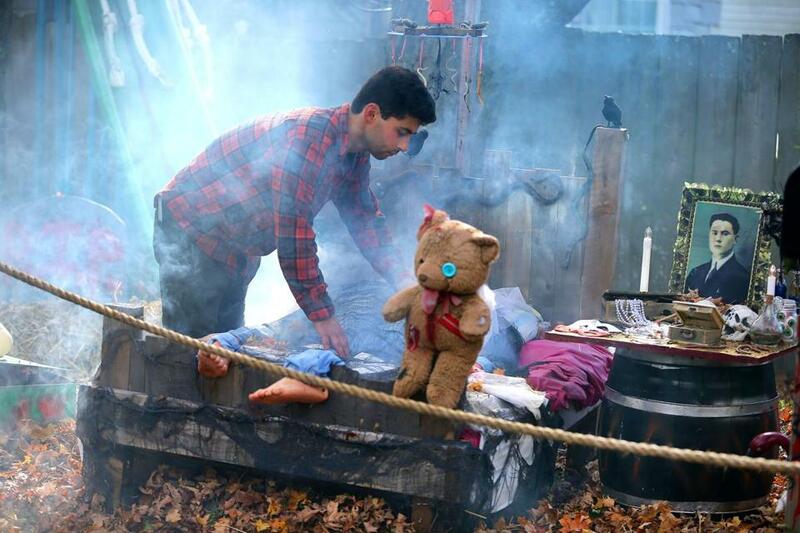 From Oct. 5 to Nov. 12, his makeshift theme park covers most of his parents’ front yard in all its animatronic glory. The handmade decorations range in size and take three weeks to set-up, Downs said. This year he added several more pieces that took months to construct. At the center of his display, there’s a 15-foot, two-story elevator that was inspired by Disney’s Twilight Zone Tower of Terror. The doors open and close to reveal the creature inside. From a nearby tree hangs a giant cage with a bird inside. A telephone booth that takes up another side of the lawn. And a local favorite, a fake masked figure sitting on a toilet that hurls out of a port-a-potty, is head spinning. It stops and looks as if it’s urinating into a bucket. There’s also a dinosaur that pops out of a barrel, a dancing ballerina, and a fake grandmother in a creepy old room rocking back and forth. Two flower pots from Home Depot were rigged so flowers rise to reveal a fake severed head, while another flower bed has eight fake hands that go up and down repeatedly. The Halloween display is motion-sensitive and controlled by a computer. It works off of electricity and air pressure through hoses that run to an air compressor in the garage. The display has the feel of one of Disney’s classic ride, like Pirates of the Caribbean or It’s a Small World, where everywhere you look there is something to see. That’s the idea, Downs said. 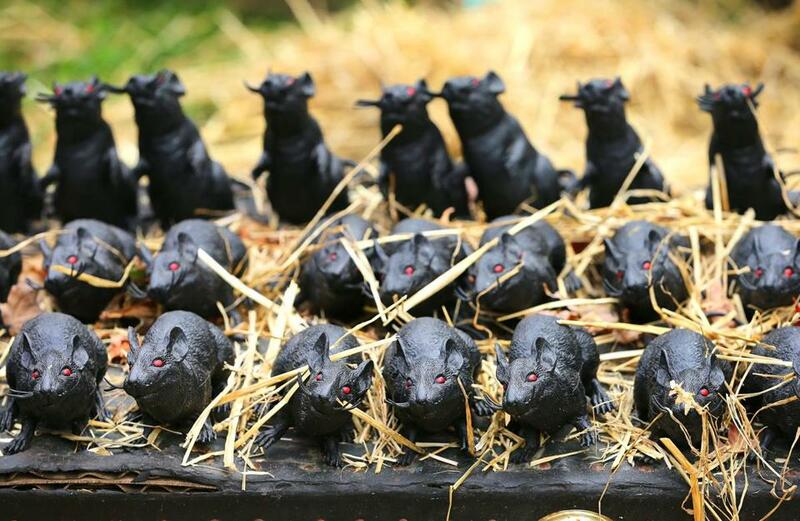 Downs spent Tuesday preparing for all the people that will gather outside his home Halloween night, as they do each year. He made sure everything was running perfectly. 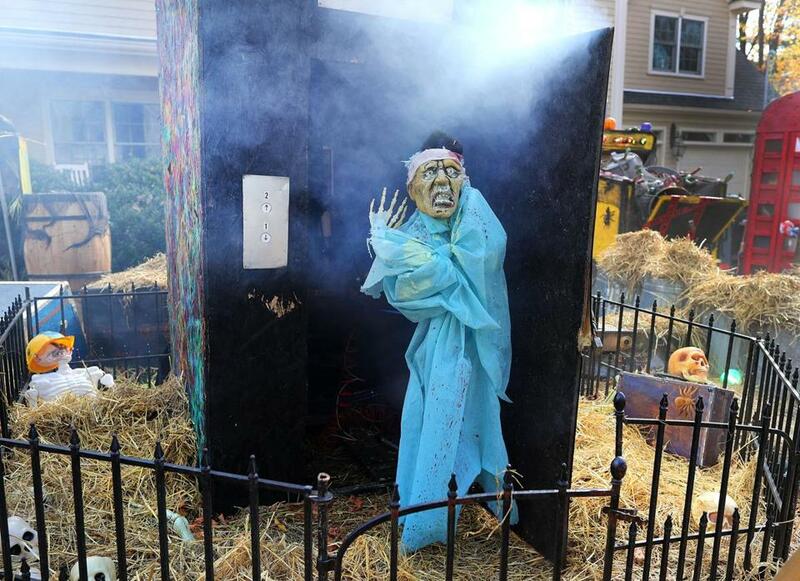 A recent University of New Hampshire graduate, he admits that creating this creepy Halloween theme park has become nearly a full-time job. Downs’ Halloween creations have outgrown the basement, the garage, even a shed. He now keeps his pieces in a storage container. The intricate decorations started out as the hobby of a kid who liked tinkering with electronics. In third grade, Downs would ride his bike to a neighbor’s house and watch the young man build his Halloween display for hours. Downs’ Halloween House now rises out of a foggy haze, a fun and spooky local tradition that has become so popular it’s raised more than $30,000 for Boston Children’s Hospital in the last four years.